Healthy crunchy Thai salad recipe | So easy, so good for you and so yum! Crunchy thai salad recipe | So easy and so yum! 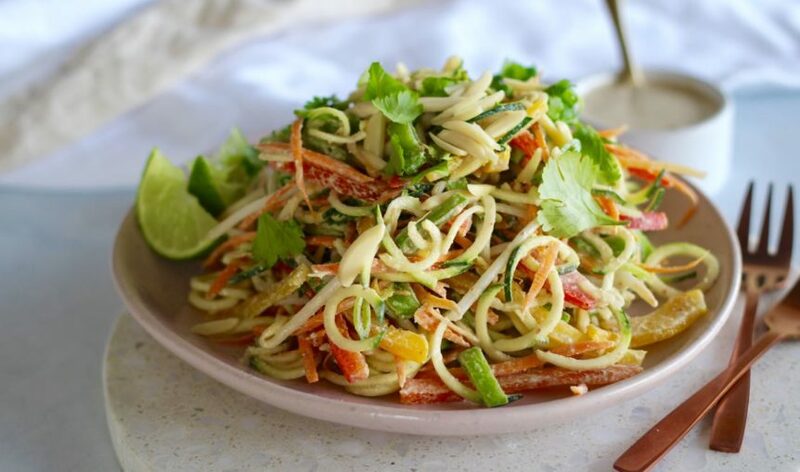 This crunchy Thai salad recipe is perfect for summer… coz it’s way too hot to cook anything! This recipe is especially for the Get Merry app. We share new app only recipes every week. There’s currently over 300 recipes on the app and about 70 of them are app only exclusive recipes. So good! This salad rocks becuase it really is as simple as chop everything up, make the sauce, add sauce to veggies and BOOM you have one delish as and healthy as dinner. If you need meat with your dinny we’ve tried this recipe with both baked chicken and salmon. Equally yum! We reckon it would also be epic with prawns. Grab the recipe on the Get Merry, download it here today!